Flying a seaplane gives you the chance to fly where others only dream of. From picturesque islands in the Indian Ocean to the remote wilderness of North America and beyond, there’s no shortage of places to explore! For those intrepid pilots who love exploring remote, hard-to-access areas around the world, check out these epic destinations you need to experience as a seaplane pilot. Just 70 miles south of Key West, Dry Tortugas consist of seven small islands, with the highlight of Fort Jefferson on Garden Key. An unfinished military fortress, Fort Jefferson was used as a prison during and after the Civil War, housing famous Lincoln-assassination conspirator, Dr. Samuel Mudd, and was later used as a U.S. base during the Spanish-American War. If its storied history isn’t enough reason to visit, the views from atop the fort and snorkeling off the island’s shores are sure to impress you. Lac La Croix – one of the most spectacular lakes in Quetico, with Curtain Falls, Rebecca Falls, the Lac La Croix Pictographs and Warrior Hill, all within close distance. Beaverhouse Lake – located in the far northwest corner of Quetico Park, Beaverhouse Lake access point puts you in the heart of some of the most remote lakes in Quetico and is the perfect starting point for a semi-circular trip, ending at Lac La Croix. Three Mile Lake – Three Mile Lake, which is a part of the Namakan River that flows from Lac La Croix into Namakan Lake, provides access to Wolseley Lake, home to some of the biggest smallmouth bass and northern pike in the park. In addition, you can use a boat and motor while camping here. To experience a slice of New Zealand paradise, fly to the Hauraki Gulf. These landscapes are like nothing else found in the world, and are ready to be explored. Fly over Auckland-region landmarks such as the Sky Tower and Harbour Bridge, and experience a bird’s-eye views of Lake Pupuke, Rangitoto, Motutapu, Motuihe, and Brown’s islands before a coming in for an unforgettable landing near the Harbour Bridge. When you fly by seaplane over the San Juan Islands, you see Washington in all its glory. This group of 172 islands lets you say farewell to the stress of everyday life, and lets you say hello to the mellow islands vibe, temperate year-round climate, and long, lazy hours of doing just what you want. The area is especially nice in the summer, with temperatures around 70 degrees. Blue Lagoon Beach is located 47 nautical miles from the Fijian mainland, on Nacula Island, in the “Blue Lagoon” part of the Yasawa Island Group. As you fly from the mainland to Blue Lagoon, you’ll get to see stunning coral reefs, beautiful blue-colored waters and countless tropical islands that dot the ocean. If you want to enjoy vacation on your own time, don’t worry about catching the five-hour long ferry ride to the island, just crank the propellers and you’ll be in paradise in before you know it, while enjoying unbelievable views along the way. Another Florida seaplane destination is tucked away inland, on the fourth largest natural lake in the United States., Lake Okeechobee. Hop into the cockpit, fire up the engines and take-off towards this small slice of paradise, where you can spend your time fishing, swimming, snorkeling, sailing, paddleboarding, kiteboarding or just relaxing under the sun. Lake Okeechobee, known as the ‘Mother of the Everglades,’ is home to millions of largemouth bass that can be caught year-round – so fly in and drop a line! Located off the southern coast of India, the Maldives offer tranquility and seclusion, thrill and adventure, alike. This tropical paradise with its pristine beaches and azure-colored water, are a group of islands that offer remote getaways, ideal for those looking to escape the world. With a number of atolls that can only be reached by seaplanes, pilots will experience birds-eye-views of these tiny white islands, scattered throughout the expansive ocean, as they fly over this beautiful setting. The majority of islands are occupied by single resorts and about half of the islands in the region are accessible by seaplane only. Ready for an Unforgettable Seaplane Adventure? There’s nothing quite like flying a seaplane into a remote corner of the world, experiencing things that many others will never see in their lives. When you learn to fly, you can reach any destination you’re dreaming of, no matter where it is – and Inflight Pilot Training can help get you there. Are you interested in learning how to fly? 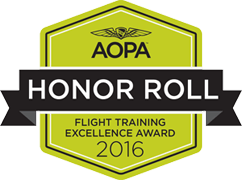 Get in touch with our team of trusted certified flight instructors today. Inflight is a leading pilot training company serving the Twin Cities and surrounding areas. 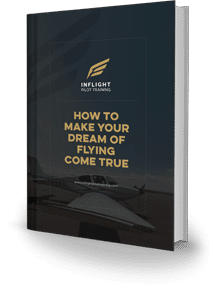 With a reputable training program and an extensive roster of highly skilled, certified flight instructors, we’re dedicated to helping you reach your goals when it comes to learning to fly. Get in touch with us now to find out more. For additional information on Inflight training programs, contact us or call (952) 698-3000.